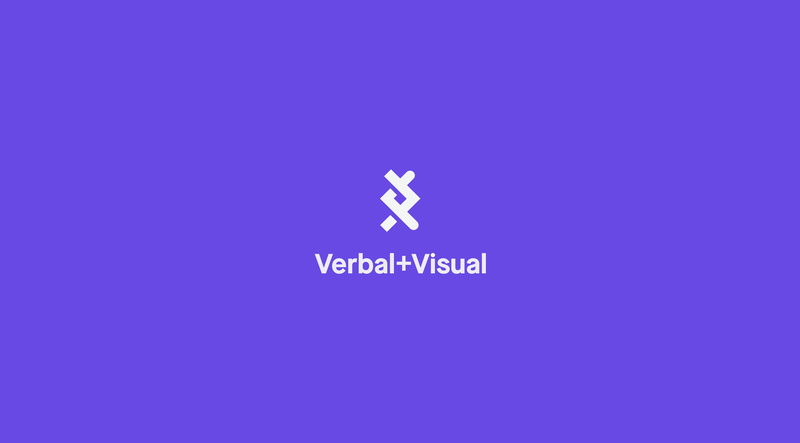 Verbal+Visual- Just Launched: The New Verbal+Visual.. Today, we're excited to launch the next evolution of Verbal+Visual. 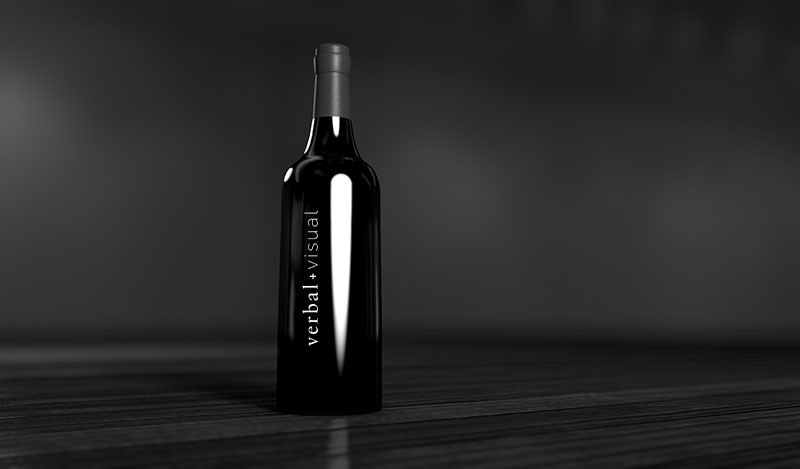 Just Launched: The New Verbal+Visual. Today, we're excited to launch the next evolution of Verbal+Visual. Today, we here at Verbal+Visual are extremely excited to re-launch our newly refined mission, brand identity and website. This relaunch coincides directly with our upcoming 10-year anniversary this January. Over the last 10 years, we've evolved from a "web design agency" into a mission-driven organization, squarely focused on crafting thoughtful digital commerce experiences. When we made the decision to focus solely on e-commerce a few years in, we did so because our passions lay at the intersection of soulful storytelling, meaningful experiences, and building data-driven businesses. Recently, however, we felt an itch. Our work had ratcheted up in quality, as have the brands we'd worked with. But, we felt like we could do even more. We decided to narrow our focus further, and to work with clients who placed equal value on people, product, and planet. 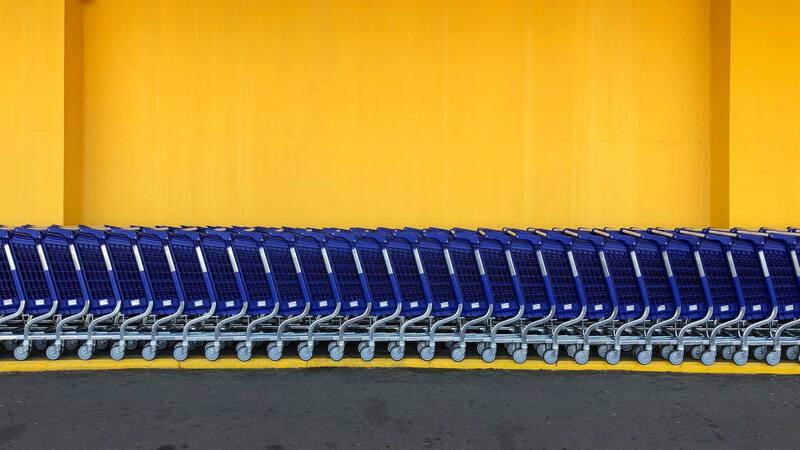 These brands pour equal thought into crafting a high quality product line as they do on faciliting circular economies. 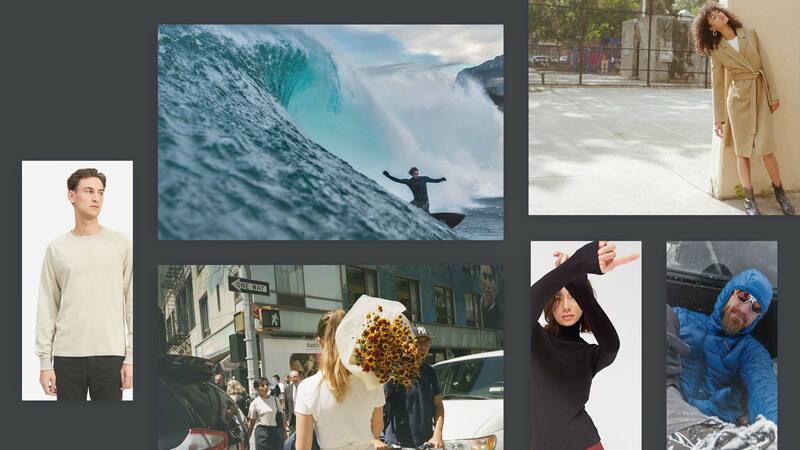 We decided to work with brands who made commerce that matters. As we've refined this mission, we realized who we are and how we communicate wasn't fully aligned. So, about one year ago, we went on a journey to further refine our mission, overhaul our branding, and showcase the clientele with which we are values aligned. Our refined mission, new brand identity system, and revamped website we roll out today is much more values-aligned. We are deeply passionate about changing the consumption model our world currently has implemented, and by partnering with brands who adopt the mindset of "fewer, better things", we can do our part to slowly shift the tides towards thoughtful consumption. When we started on our rebrand several months ago, we began by asking ourselves the key question every organization must ask themselves: What's our purpose? The answer lies in the nuances that make up the human experience. First off, we love the experience of consuming enriching products. For us, it has always started with a best-in-class product experience. That, of course, holds true. Secondly, we love brands that care about where their products are coming from, how they're made, who is making them, and how all of the people in the supply chain are affected by those products. Lastly, we constantly ask ourselves what the environmental impact is for the organizations we work with. Will they ultimately leave the world a healthier, happier, more habitable place? If so that's putting people, product, and planet at an equivalent priority level. That's making commerce that matters. 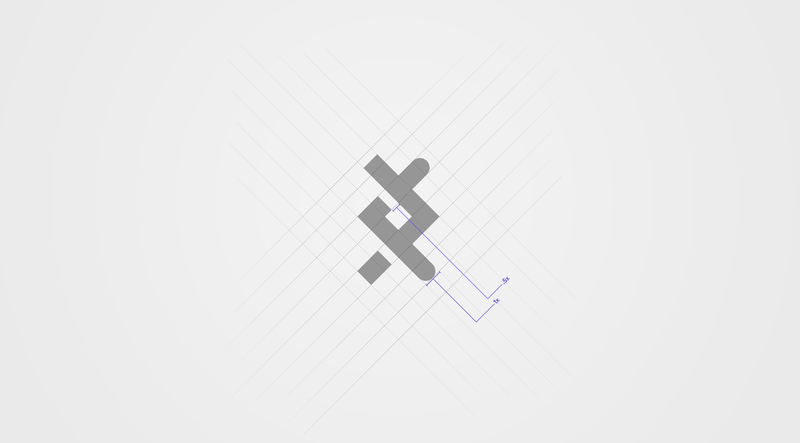 Our logo mark is the combination of 2 plus symbols, rotated sideways and intersecting. We added in white space to give the mark a focal point. When you add together "verbal" plus "visual", the result is "message", which comes together in the customers' mind as they experience all brand touch points. Our new logo is emblematic of the unification of verbal and visual to have the desired message come to life in the customers mind. Additionally, the logo can also be seen as brackets, a nod to all things code. While we're Strategists first and foremost, we're also builders, and code is the foundation for us to build on. 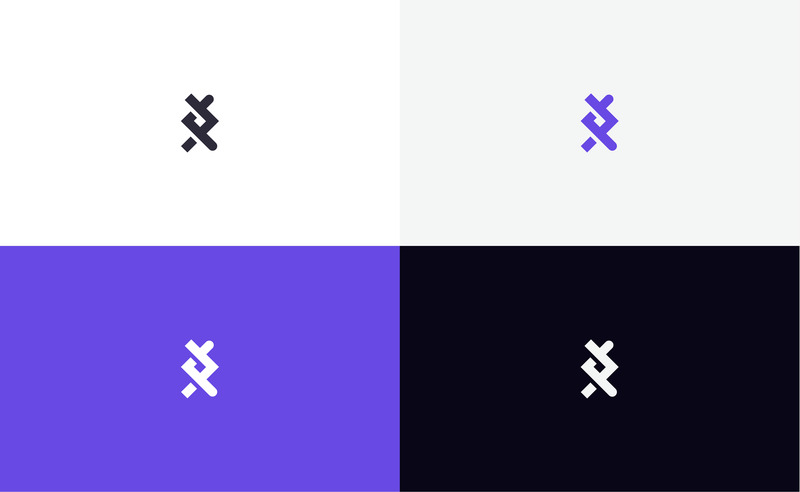 Lastly, the squared edges on one symbol vs the rounded edges on the other symbol are a nod to the combination of the left brain and the right brain, the merging together of two ways of thinking. Ultimately, Verbal+Visual stands for doing something greater than expected. Our mark indicates that unified, thoughtful commerce will lead to a richer, more valuable consumption cycle for all. With a high concentration of blue, Ultra Violet is daring, while retaining a sense of stability. This color represents our goal as an agency: to surpass boundaries and set a new standard. Ultra Violet reflects an aspiration of pointing towards the future in order to see what lies ahead. It is complex, yet contemplative; energizing while a refuge from over-saturation. Additionally, Ultra Violet has remained a continual source of inspiration for a tradition of makers who were not afraid to experiment and invent in an effort to express individuality. From the stars, we turned our attention down to Earth. Melanin is the natural pigment found in all six of what biologists call “the kingdoms of life” (plants, minerals, animals, bacteria and fungi); it is also a biomarker of evolution because it has been around since the dinosaurs walked the Earth. Melanin is meant to symbolize life, creation and harmony with the planet we inhabit. Visually, the type is simple and strikingly bold. In order to achieve this in type, we chose the Neo-grotesque Aperçu, a font used widely across multiple brands and touch-points including The Museum of Modern Art in New York. Aperçu was started in December 2009 by the Colophon Foundry out of London England. Colophon describes Aperçu as a synopsis or amalgamation of classic realist typefaces: Johnston, Gill Sans, Neuzeit & Franklin Gothic. Becoming a sum of parts, and building upon its initial reference points to create an extensive and usable family. We love it because it’s a typeface without an ounce of pretension and even when it is shouting in all-caps it’s hard to take too seriously. The happy ovoid shapes love to be paired with vibrant tones and geometric patterns. With our new website, built using the Contentful CMS and Vue.js front-end framework, we were presented with several opportunities. First, we looked at our content to see which content was valuable, and which content was in line with the re-imagination of our brand and organization. Instead of simply duplicating all content, we dove into the content to see which pieces were truly valuable for our target audience, and we migrated those items over. Secondly, we looked at our new brand to see what kind of experience we wanted to our visitors to have, and what the focus should be. We focused on our Case Studies, Studio Page, and Contact. Lastly, we crafted the experience with one goal in mind: to educate potential customers on Verbal+Visual and e-commerce, and to reach out to us and start a conversation. Ultimately, we want to converse with passionate e-commerce professionals; what it means, why it's important, and how to create memorable commerce experiences that matter. Our goal with the new site was to facilitate those conversations by putting our best work and deepest thoughts on our site. We've poured our blood, sweat, and tears into crafting beautiful, thoughtful e-commerce experiences over the years. Our newly launched experience is particularly special for us given our upcoming 10 year anniversary. As we look forward to the next 10 years, we are anxious to see how our brand and organization will grow together with brands whose missions' we believe in. A special thanks to everyone who has supported us throughout the years. The best is yet to come.